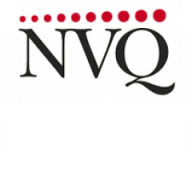 VTCT Level 2 NVQ Diploma in Hairdressing (QCF) is a job ready qualification based on National Occupational Standards (NOS). This qualification will provide you with the requisite knowledge, understanding and skills to work competently as a hairdresser. This is a substantial vocational qualification for learners seeking a career as an employed and/or self-employed hairdresser/stylist. 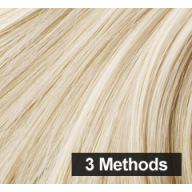 EQUIPMENT: You will need to purchase a college hairdressing kit from a wholesaler to continue with your home practice and for assessments. You will need to purchase x4 training heads. You will need to arrange models for your assessments throughout the training programme. We do have a kit that can be purchased which incl's training heads. It is strongly recommended that you seek work experience in a hairdressing salon during your training, this will give you the knowledge and hands on experience of being in the industry. TERMS: SurePass reserve the right to alter training days to cater for bank holidays or staff holidays - we will also aim to accommodate student holidays too where possible. Some students may find they complete the training & assessments in less than the designated time. A max of 48 days training will be provided. Additional training days needed with be subject to charge. Min 2 students required for the course to run. We operate a strict no refund policy and you will be liable for the entire fee, even if you withdraw from the course. Please refer to our terms/conditions/cancellation policy for more information. Really enjoyed being on the course, feel very confident that i will have a life long career. Been a wonderful first step into the world of hairdressing. I loved doing my course, I think it is brilliant that you can complete it within 6 months. Jess has been fab and i couldn't of had a better tutor. She is patient with every student and goes above and beyond to ensure you completely understand what you are doing. Jess made me feel really comfortable and always praised me. I can't thank her enough , she really is the best!! I really enjoyed the course and happy that i was able to complete in 6 months. Lovely teacher (Jess) training was given to high standard. I was a little disappointed about car park, this was a factor to me at start of the course since i wouldn't be able to afford car park being a single parent. Having this taken away half way through course left me feeling worried and unhappy. I loved every moment, wish i had done the hairdressing course years ago!! Jess is the best, there is no surepass without Jess. Friendly, helpful staff. Jess is very willing to help you with anything and has a great personality. An intimate and pleasant environment to learn in. I have no regrets about choosing to do this course. I have a great skills set that will be used throughout the rest of my working life. If you are interested in hair and love people you will love this course. Supportive and encouraging too! Thoroughly enjoyed my time at Surepass doing my NVQ level 2 course. A very pleasant place to come in and learn with support throughout the whole course. Lovely tutor, friendly and informative. Always a lovely friendly learning atmosphere. Always professional and easy to approach. I have had a really good time here on the course. Ive done something i never thought i could do. I couldnt of done it without all of the staff encouraging me and helping me. Jess is an amazing teacher and i couldnt thank her enough for all the work i have done. Jess was always positive. I couldnt fault the course or staff. Jess has a vast amount of knowledge and helped as much as we needed. -Fantastic quality of teaching by Jess. Shes very attentive and adapts our learning to keep it fun. -Large variety of tools and products to use.